We begin our Sunday School with all ages meeting together in the sanctuary for announcements, celebrating of birthdays and an object lesson led by our Assistant Sunday School Superintendent. Since classes tend to be a little smaller in the summer, we combine some of the classes but there is always a place for everyone. No Sunday School. The church family meets together for a fellowship breakfast each week during the Sunday School Hour. A Nursery Class is always available for the little ones. Children ages Preschool through 5th grade are divided into 2 classes and are use age appropriate curriculum and activities to teach our kiddo's about God's work in their lives now and in the future. Students from 6th grade through High School meet in the loft for studies and activities to encourage Christian growth. Two adult classes are offered with a variety of topics to teach and encourage adults of all ages. 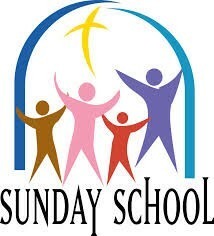 We have Sunday School classes for all ages - nursery thru adult. Children's classes are organized by age groups. Pastor Bussinger brings a message straight from the Word of God to encourage and challenge the hearts of all that are present. One of the men of the church typically opens the service with congregational singing of hymns, testimonies, and prayer. We celebrate the Lord's Supper together on the first Sunday of each month.